Change things up with these side-trips from Cairns: Safaris (in Port Douglas) and Hartley's Crocodile Adventures (in Palm Cove). Spend the 16th (Tue) among aquatic life with a scuba or snorkeling tour. Next up on the itinerary: hike along Esplanade Boardwalk, admire the natural beauty at Botanical Gardens, have fun at Esplanade Lagoon Pool, and see the world from above with a helicopter tour. For more things to do and other tourist information, read Cairns online attractions planner . Birmingham, UK to Cairns is an approximately 24-hour flight. You can also do a combination of train and flight; or do a combination of train, bus, and flight. The time zone difference moving from Greenwich Mean Time (GMT) to Australian Eastern Standard Time (Queensland) (AEST) is 10 hours. Prepare for much warmer weather when traveling from Birmingham in April: high temperatures in Cairns hover around 34°C and lows are around 26°C. 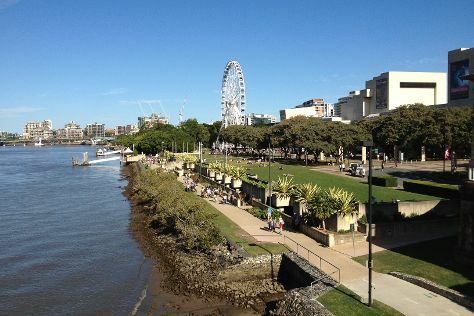 Cap off your sightseeing on the 21st (Sun) early enough to travel to Brisbane. Step out of Brisbane with an excursion to Sea World Theme Park in Main Beach--about 1h 30 min away. And it doesn't end there: walk around South Bank Parklands, admire all the interesting features of Suncorp Stadium, look for all kinds of wild species at Lone Pine Koala Sanctuary, and tour the pleasant surroundings at Moffat Beach. To find other places to visit, traveler tips, ratings, and other tourist information, go to the Brisbane online driving holiday planner . Traveling by flight from Cairns to Brisbane takes 5.5 hours. Alternatively, you can do a combination of flight and bus; or drive. Traveling from Cairns in April, expect Brisbane to be slightly colder, temps between 30°C and 19°C. Wrap up your sightseeing on the 25th (Thu) to allow time to travel to Sydney. Spend the 2nd (Thu) exploring nature at Sydney Harbour National Park. 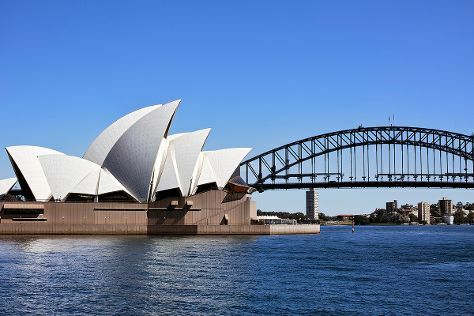 The adventure continues: see a show at Sydney Opera House, admire the natural beauty at Royal Botanic Garden Sydney, hunt for treasures at Sydney Fish Market, and take a stroll through Darling Harbour. For more things to do, ratings, traveler tips, and tourist information, use the Sydney route builder . Traveling by flight from Brisbane to Sydney takes 4 hours. Alternatively, you can do a combination of bus and flight; or drive. When traveling from Brisbane in April, plan for slightly colder days in Sydney, with highs around 26°C, while nights are about the same with lows around 17°C. Wrap up your sightseeing by early afternoon on the 3rd (Fri) to allow time for travel back home.